I decided that, alongside the posts about the serious nature of invisible illnesses, I wanted to include something a bit more lighthearted. When you have a long-term/chronic illness it can be very easy to lose your identity as a woman (or man) and almost become your illness. Instead of ‘Jenny’ you become known as ‘the ill one,’ or ‘the one with (INSERT ILLNESS).’ You can lose track of what you as a person like or dislike, because every decision you have to make is based on questions like ‘am I well enough?’ or ‘if I say yes to this, I will have to say no to something else.’ Being ill is hard. I’m not going to dress it up to be anything else. This is why it is so important to be able to do things that make you feel pampered, special and just downright human sometimes! What you can do will be very dependent on your individual situation. For someone who is completely bedbound, tube fed, catheterized and shut off from everything life has to offer, it’s obviously not helpful to suggest a trip out to the spa or a day out shopping. When a person is this unwell and isolated, a treat may simply be hearing someone read out a letter, or a couple of pages from a simple book. If you are able to stand light/sound/touch/smell, then it can help to decorate your room with nice things you can look at from your bed. Lava lamps and wind chimes are pretty and relaxing, and I think it’s always nice to surround yourself with items that keep you linked to the outside world in some way. Perhaps you could ask someone to stick cards from friends to your walls, or a carer could bring in something from the garden. If you can tolerate it, having a pet sitting on the bed with you can be very calming. For those who are able to tolerate slightly more, it can help to set little goals to do something nice for yourself every day/week, depending what you can manage. 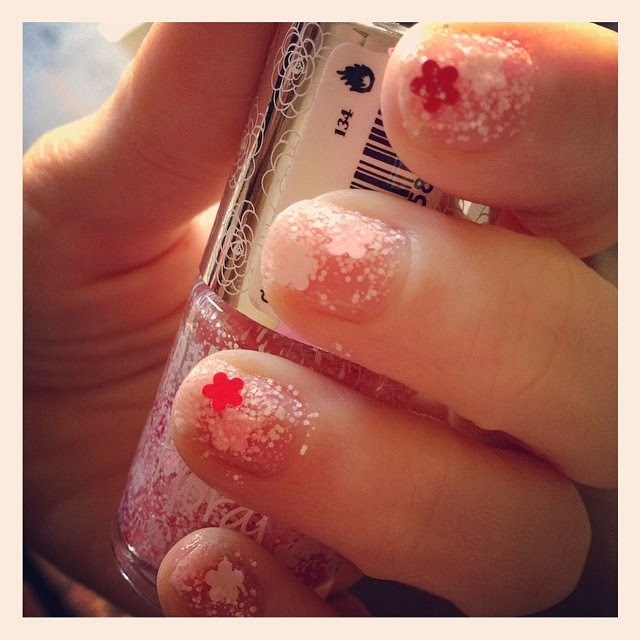 It doesn’t need to be something massive; simply filing or painting your nails (or asking someone else to do it for you! ), brushing your hair or putting on some moisturiser can make you feel feminine and special. Washing yourself can be particularly difficult when you’re not well. Imagine back to the last time you can down with the flu, or a nasty virus. I’m guessing you probably spent a few days in bed feeling pretty awful, and having a bath or shower was the last thing on your mind. Now remember how horrible it feels to not have washed for a few days. 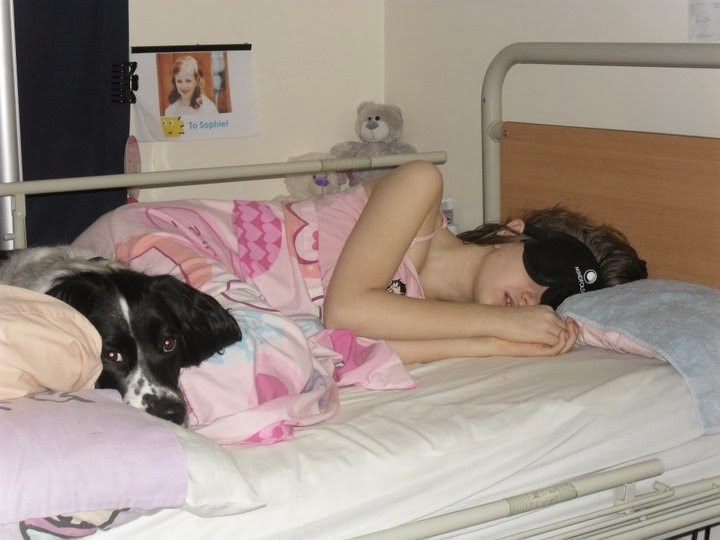 People with chronic and invisible illnesses may have to go weeks, months and even years without being able to have a bath or shower. There are ways to get around this though, which can help you feel a bit fresher. A carer can use a warm flannel or wipes to give you a bed bath, and you can use dry shampoo to give your hair a bit of a pick-me-up. If you are more mobile, it’s worth asking for an Occupational Therapy referral, as they can provide you with aids, such as shower chairs and bath boards, to make it easier to carry out these tasks. 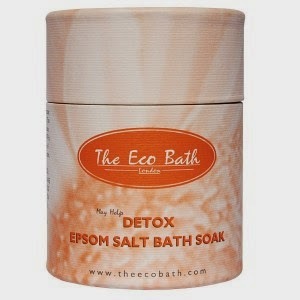 If you suffer with muscle pain, it’s thought that magnesium rich bath salts, like Epsom Salts B.P, can help. Magnesium is said to relax muscles and sulphate detoxifies skin, so if bathing is an option this is something to look in to. It can also be nice to experience spa treatments like massage and facials, which can often help with pain. These days there are so many mobile therapists, so you don’t even need to leave your home. In my opinion it’s best to ask friends and family for recommendations, because you will need someone that will understand your medical needs. If paying a professional isn’t something that you can do, there are plenty of ways to make your own spa treatments. If a friend or carer has some time to spend with you, why not apply facemasks, create foot spas (warm bowls of water) and relax together. It’s about finding the little things that are right for you, and that will make you feel a bit better. It is often difficult when you’re mainly housebound to feel like a part of the world around you. Your friends are off out working, socialising and most importantly shopping, while you’re stuck at home, often not changing out of your pyjamas. I’ve always loved buying new clothes and checking out the latest fashion, but being ill really took this away from me. Illness doesn’t have to shut you out completely though. With Internet shopping improving all the time, it’s now easier than ever to log on to your favourite store and place an order. When you’re particularly unwell, clothes and fashion are probably the last thing on your mind, but even having some pretty pyjamas or slippers can make you feel that little bit nicer. There are also plenty of comfy clothes to choose from – look out for garments made of soft, natural materials that won’t rub and irritate your skin. Most online shops are very easy to return to if something isn’t right, and I know that New Look will accept online returns to store, so a friend or carer can drop them back for you. I know a lot of people with invisible illnesses can have sensitivities to fragrance and make-up, so finding things that suit you can be a nightmare. Some will just avoid these products completely, but if you want to try things out, I’ve found it incredibly difficult when you’re housebound. Debenhams have started sending a sample bottle of perfume with your main order, which, although a bit of a long-winded process, does give you the opportunity to test the fragrance and get a full refund if it doesn’t suit you. Lush have fantastic customer service, and I have found them to be one of the most helpful companies since I’ve been ill. If you place an order online and ask if they have any samples in the message box, more often than not you will be sent a very generous bag full of various products to try. If you’re able to get to the store, or if you know someone who can, the staff have always been incredibly helpful with dispensing samples to try before you buy. Unfortunately, I’ve never had any luck with other companies understanding the difficulties of buying cosmetics when you’re housebound, which is a real shame. I hope this post might be of some help if you’re reading this and suffer from an invisible illness. But, I also hope it will help to raise awareness and understanding of the effect of illness on day-to-day life, and that, although someone may be unwell, they are not defined by their illness. How do you pamper yourself when you’re not feeling well? Have you found any companies that have staff that go the extra mile to help?